Think palm trees and island breezes. 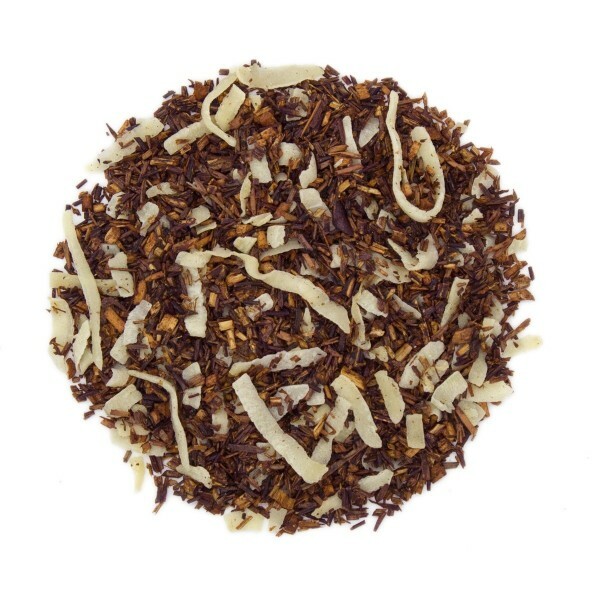 The rich coconut flavor mingling with the lovely taste of red rooibos is completely tropical and indulgent. Creamy sweet flavor and a lovely caramel finish completes the experience. Naturally caffeine free, this addictive and delicious treat is not to be missed. I must admit, I am not a Rooibos tea fan, however, this magnificent combination of Coconut and Vanilla has changed my mind!! Absolutely, wonderful because you have enough of the coconut flavor with a delicate vanilla after note. Was not a fan until NOW! I typically enjoy flavored black teas. Because I trust Teas Etc so much, I decided to give their Rooibos Coconut Custard a try. From the first sip, I was hooked!! It has a very distinct coconut flavor with a mellow vanilla (custard) after notes. If you love coconut, you should like this tea. very good! I love this tea. It has a wonderful coconut flavor. Great for a sweet treat after dinner. Love this tea! Love coconut and this is WONDERFUL! A friend of mine received this as a trial. After trying it, we both ordered the full size pouch. Very good, iced or hot. Will definitely order more. I like the taste of the coconut and it has a strong refreshing taste to it. It can be a little bit strong and spicey if you are not feeling up to it. I especially like the coconut and think it was a good idea. Great coconut flavor, nice sweetness. Good hot or iced. 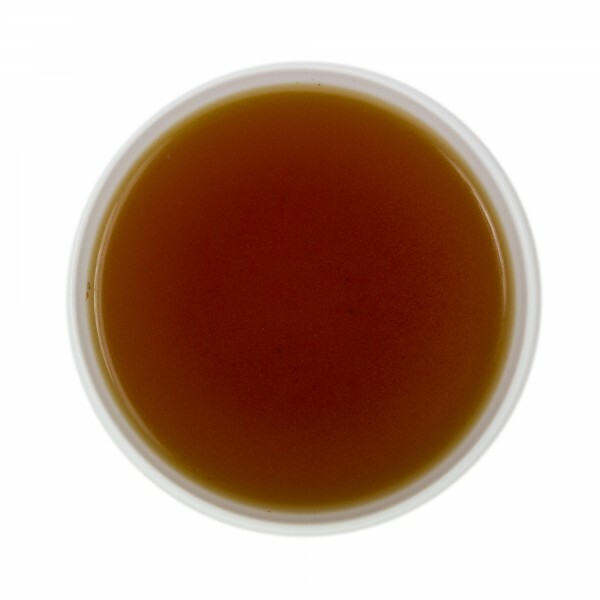 The coconut rooibos is very fragrant with the scent of coconut. I wish it tasted a little more like coconut, but overall it is still a tasty tea. Really good coconut flavor just like a piece of Coconut Meringue Pie. I added some honey also. Relaxing aroma and taste. The coconut flavor is very mellow and you can taste more of the red tea than the coconut. A great one at night. This is a good red tea. For the amount of coconut that is actually in it I thought the coconut would be overpowering but it is a very mild flavor. A great one before bed. What's in a name? Yum! This tea tastes just as smooth and delicious as the name suggests. It satisfies my need for a sweet treat. It is altogether a lovely cup. I rave about this tea. I re-steep the leaves until the brew is too weak to taste. I can't stop telling people about it! It's all the best parts of dessert without the calories. I've even said "it tastes like a hug". Smoothe, warm flavores of vanilla and coconut set against the naturally light slightly floral notes of the Roobios itself. It's a perfect cup of tea! The fact Rooibos is naturally caffeine free and high in anti oxidants makes it even more ideal. Try it with vanilla coconut milk on cold nights! It's wonderful.